The Three Sisters Islands (actually four islands exist) are located approximately 500 yards east of the Horseshoe Falls along the southeast side of Goat Island. In 1843, these islands were called Moss Islands because the rock surfaces of the islands were covered in moss. The Sister Islands were named after the three daughters of General Parkhurst Whitney. General Whitney was an American commander during the War of 1812. Following the war, General Whitney became a very successful businessman. 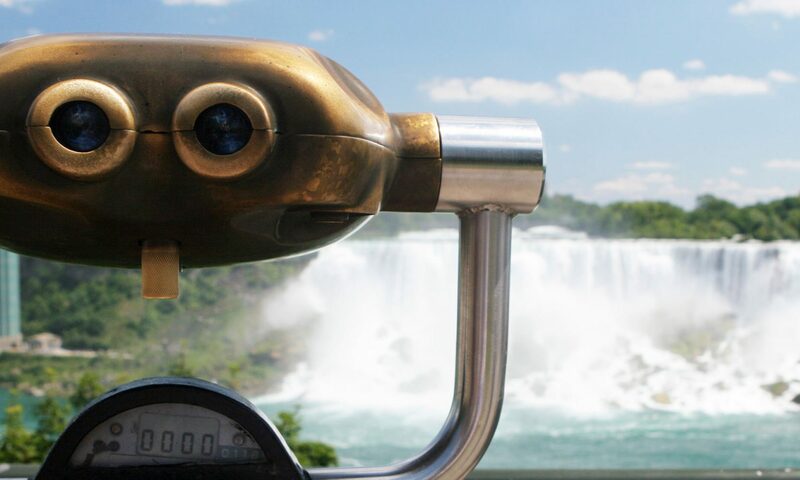 He owned and operated the Cataract Hotel in Niagara Falls, New York. In the spring of 1816, General Whitney took his three daughters, Asenath, Angeline and Celinda Eliza to visit the islands. On this visit, they became the first to visit the third island, which was the furthest. This was only possible because of the ice jam upstream of the Falls. The ice had reduced the dangerous rapids dramatically and ice clogged the water channel. At the time there weren’t any bridges to any of the islands. Whitney and his daughters walked to the third island by crossing on the ice. General Whitney was so proud of his daughters’ feat, that he asked the owners of the islands, Peter and Augustus Porter, to rename them after his three daughters and his infant son. In 1834, the first island closest to Goat Island was still known as Deer Island. The second island became known as Asenath, the third as Angeline and the fourth as Celinda Eliza. Today the Three Sister Islands have been renamed. The first island is called ASENATH, the second island is called ANGELINE, the third island is called CELINDA ELIZA. The fourth known as Little Brother Island is named SOLON.